Once famous, Bob Dylan didn’t wait long to put his poetic, socially rebellious, cage-rattling persona on film. In the words of former girlfriend Joan Baez, he “burst on the scene already a legend” in 1961, and had only been recording for three years when he became the subject of documentary filmmaker D.A. Pennebaker’s groundbreaking tour diary, “Don’t Look Back” (1965). Filmed during Dylan’s 1965 English concert tour, “Don’t Look Back” captures Dylan at his disruptive best, and chronicles the life of a traveling troubadour who also happens to be the emerging voice of a generation. Also captured are two key figures of the 1960s folk music scene: Baez (the relationship between Baez and Dylan was all but over by the time “Don’t Look Back” was filmed), and “Sunshine Superman,” Donovan. But it's the iconic opening scene that most people remember. 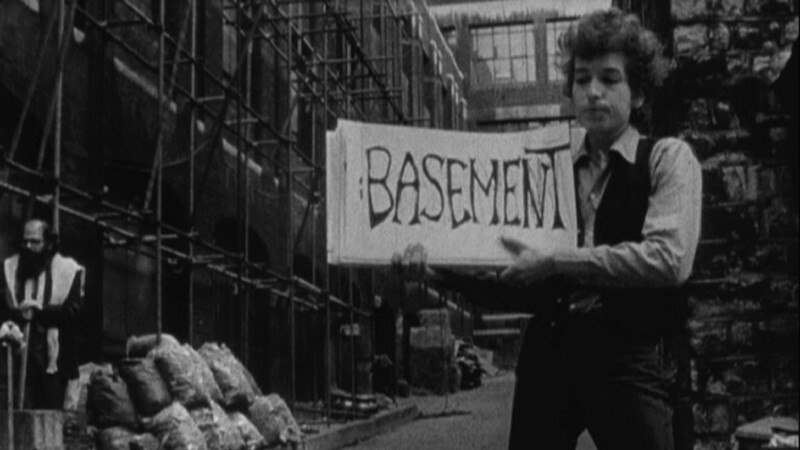 In an alleyway, holding cards with fragments of lyrics written on them, Dylan “performs” “Subterranean Homesick Blues” as a piece of language art. Fittingly, Beat poet Allen Ginsberg, the author of “Howl,” makes a cameo appearance in this section. Along with the Beatles’ first film, “A Hard Days Night,” the “Subterranean Homesick Blues” clip is considered the precursor to the modern music video. 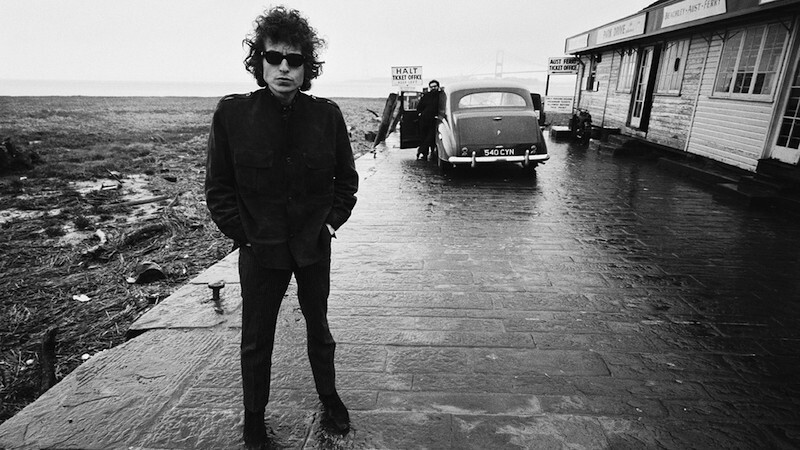 And, perhaps prophetically, “Don’t Look Back” represents Dylan at his folk-rock peak. Two months later he would alienate many of his fans in an act deemed a “betrayal”, by “going electric” at the Newport Folk Festival. Nearly forty years later, director Martin Scorsese would use long-lost footage from Pennebaker in compiling the hundreds of elements that make up “No Direction Home” (2005), a documentary tracing Dylan’s life between 1961-1966, from his arrival in New York City to his “retirement” from touring following a motorcycle accident. The film is based on hours of interviews with friends and associates shot by Scorsese, including ten hours spent talking with Dylan himself—Dylan’s sole involvement with the film. One fascinating artifact featured is Dylan’s 1965 screen test for Andy Warhol. 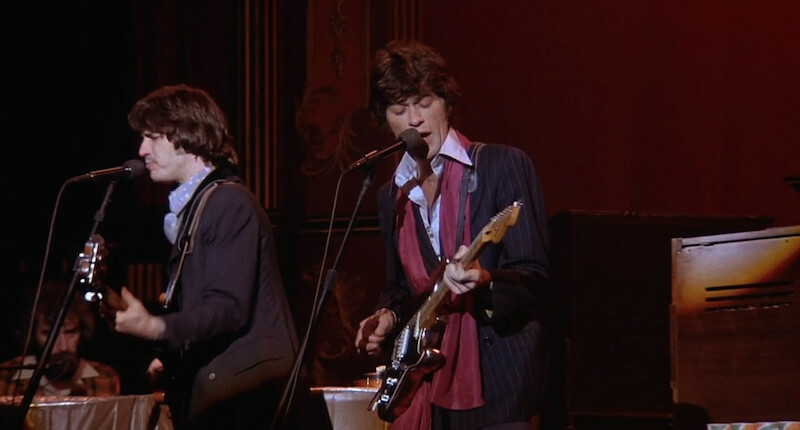 As the filmmaker who’s done the most for marrying rock to film, Scorsese was the ideal voice and vision behind “No Direction Home.” Three decades earlier, in “The Last Waltz” (1978) Scorsese directed Dylan, after a fashion, as part of shooting the final concert by The Band, the one-time backing group for Dylan. Performing “Baby Let Me Follow You Down” and “Forever Young,” Dylan fronts The Band one last time, and the result is a double achievement in cinema and music history, as “The Last Waltz” is considered by most critics to be the best concert film ever made. Dylan on film makes for riveting viewing, whether examining the creative process of a genius, or just seeing the man do what he does best. Given all that he produced after that critical bend in the road in 1965, it seems unbelievable that there were once fans that swore never to listen to him again. They probably didn’t keep that vow, and if they did, they sure missed out. 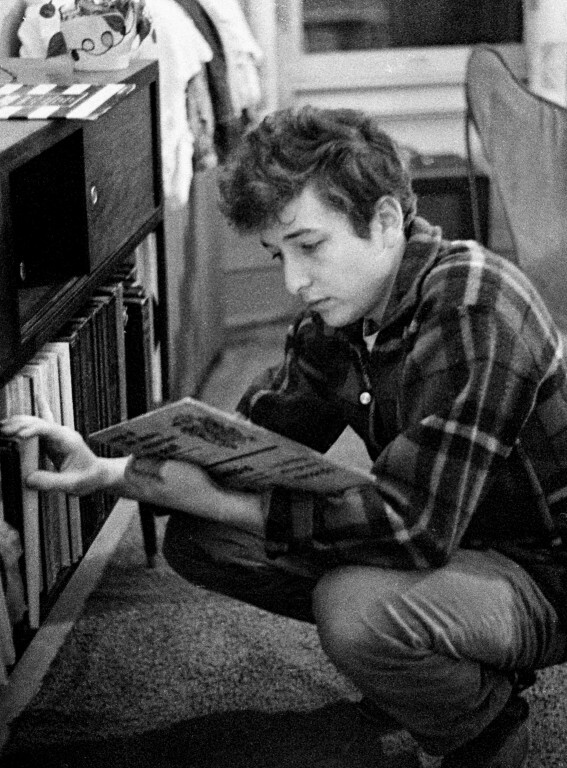 We invite you to gaze into Dylan’s world in a way that the non-nostalgic musician/composer is said never to have done, and do look back at his rich, inspiring, and utterly watchable life.